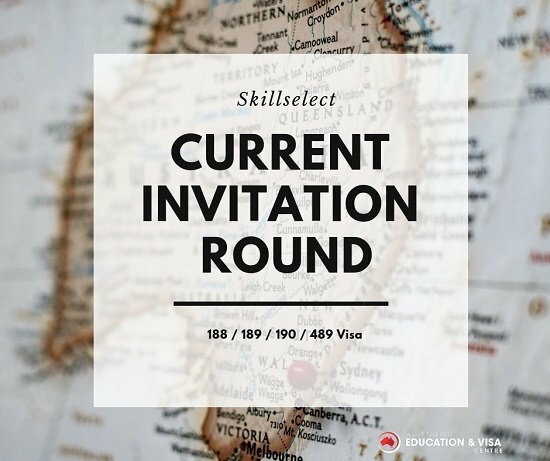 On the 11th day of each month, the Australian Government Department of Home Affairs (DOHA) conducts invitation rounds for Skilled independnt visa (Subclass 189) and Skilled Regional (Provistional) visa (Subclass 489). 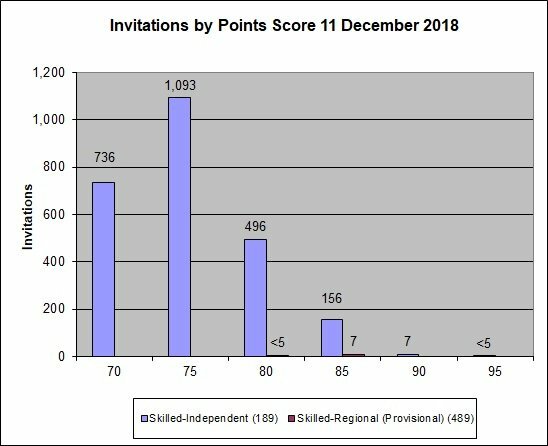 The table below shows the number of invitations issued in the skillselect invitation round on 11 December 2018. The following graph shows the points for clients who were invited to apply in the 11 December 2018 round. Point scores and the dates of effect cut off for the pro rata occupations in the 11 December 2018 invitation round.